Wholesome Chicken is the main ingredient in the bag. This recipe is made without grains. 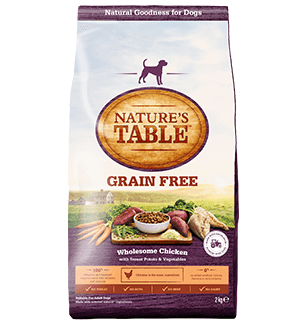 GRAIN FREE Wholesome Chicken with Sweet Potato and Vegetables is rated 5.0 out of 5 by 1.